Located fifteen miles north of the Grand Canyon, the Glen Canyon Dam delivers water from the Upper to the Lower Colorado River Basin. Argonne experts helped recommend a long-term strategy for the dam’s operation that would balance hydropower with the protection of environmental, cultural and recreational resources in the area. Newswise — Researchers at the U.S. Department of Energy’s (DOE's) Argonne National Laboratory have helped develop a plan for the operation of Glen Canyon Dam in Glen Canyon National Recreation Area, upstream of Grand Canyon National Park. The plan, known as the Glen Canyon Dam Long-Term Experimental and Management Plan and documented in a final environmental impact statement, recommends a strategy that would balance hydropower with the protection of environmental, cultural and recreational resources in the area. The plan, which was released earlier this month, is designed to be flexible and responsive to changing conditions and new information, so that operations can be adjusted to improve conditions. The report is the first step in a 20-year experimental, management and environmental monitoring effort conducted by the U.S. Department of the Interior’s Bureau of Reclamation, the National Park Service and the U.S. Geological Survey. Located fifteen miles north of the Grand Canyon, the Glen Canyon Dam delivers water from the Upper to the Lower Colorado River Basin. The dam was built in 1963 for water storage and flood control and is crucial to water distribution to about 40 million people in Arizona, Colorado, Nebraska, Nevada, New Mexico, Utah and Wyoming. The hydropower facility also provides 1,300 megawatts of electrical generating capacity to more than five million customers. The dam prevents most sediment from entering the river downstream, releases cool water and changes river flow patterns: thus, it also impacts downstream resources. For example, it has contributed to a decline in the population of native humpback chub, as well as the erosion of beaches once built and replenished from sediment transported downstream during annual floods. The team identified seven alternative ways of operating the dam. Each one would implement different monthly and daily water release patterns and experimentally test special releases, such as short-duration high flows to simulate floods and build beaches, low summer flows to allow the water to warm to benefit native fish or short-term fluctuations to manage the trout population. After modeling the effects of these alternatives, the team recommended one that would improve the conditions of downstream resources and limit impact on hydropower generation. “The team, with input from cooperating agencies, Tribes, and stakeholders, has identified a preferred alternative that will benefit the endangered humpback chub, vegetation, wildlife, cultural resources, Tribal resources and recreational activities, including trout fishing, boating and camping, while limiting its effect on clean renewable hydropower,” said ecologist Kirk LaGory, manager of the Rivers and Hydropower Program in Argonne’s Environmental Sciences Division and team lead for the environmental impact statement. In addition to analyzing environmental impacts, the team assessed how each alternative would affect power production during periods of peak demand when the value of energy is higher (which occur in the winter and summer and in the mornings and evenings) versus when demand is low and the value of energy is lower (like during the middle of the night). The team also analyzed the overall capacity of the hydropower plant over a 20-year period. In doing so, they measured the effects of variable water flow (e.g., drought years and wet years and climate change) that can alter the amount of r energy production year to year. “We used these data to estimate the energy and operational capacity of the Glen Canyon power plant that would be produced under each alternative and projected how other power plants in the Western power grid would respond to operations under each alternative,” said Thomas Veselka, a computational engineer in Argonne’s Energy Systems Division who was involved in the power system analysis. In the next few months, the U.S. Department of the Interior is expected to produce a Record of Decision that identifies how the department plans to operate Glen Canyon Dam for the next 20 years. The plan would be supported by the Glen Canyon Dam Adaptive Management Program, a successful management strategy for long-term research and monitoring of dam operations and downstream resources that has been in place for the last 20 years. 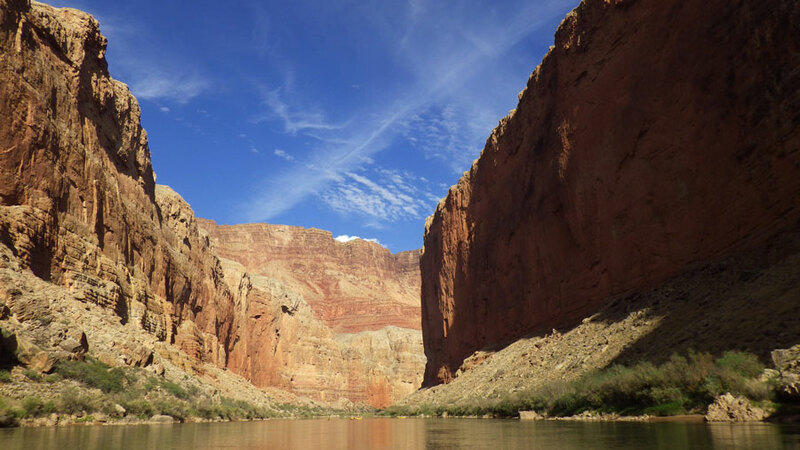 The U.S. Geological Survey’s Grand Canyon Monitoring and Research Center, in coordination with the Bureau of Reclamation, the National Park Service, other agencies and the Tribes, will then implement a science program to monitor the impact of dam operations on fish populations, river sediment, vegetation, cultural resources and other environmental resources. What were Ronald Reagans' seven "scariest" words? Something like "We're from the government, and we're here to help". Marxists Progressives want to tear down the dams, everywhere, as they pretend to be for renewable energy.